 House of Toli Salon.Spa has been created to be a relaxing retreat for our guests and an enjoyable environment for our team. We adhere to certain policies to benefit you, our guest, and our valued team of Salon.Spa professionals. We recognize that other salon and spa’s may not share the same policies, however, we appreciate your respect towards both your time and the time and talent of our professionals. We welcome you to our Salon.Spa and will work hard to provide a relaxing enjoyable experience, as we hope to become your favorite retreat in Calgary. Please arrive 10-15 minutes prior to your scheduled appointment time. This will allow time to update your client profile, change into your robe (if required), relax and enjoy a beverage before your treatments begin. If you arrive late, we will do our very best to accommodate you however, time may not permit for us to honor your full service. Due to this, appointments may be shortened and/or rescheduled to ensure we are on schedule for our next guest. In consideration of other guests, we ask that cell phones and pagers are turned off. 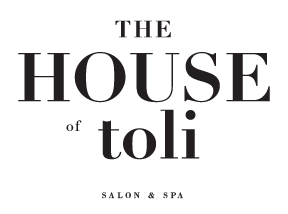 Additionally, House of Toli Salon.Spa has been created to be a relaxing retreat for all our guests. As such, children are welcome in the Salon.Spa to receive a service; however, we cannot provide services to any guest accompanied by unattended children. For your protection, we provide lockers; however we will not be responsible for lost or stolen items. Massage clients are provided with robes and slippers upon arrival. Undergarments may be worn if preferred. While we do offer complementary disposable sandals following pedicures, for your own safety and comfort, please remember to bring your own sandals following your pedicure appointments. Communication is key! Please communicate with your stylist and/or esthetician throughout your service to ensure satisfaction and to customize your services to fit your needs. Advance reservations are strongly recommended. You may book standing reservations with a particular stylist/esthetician to ensure you receive the bookings you most desire. Prices are subject to change without prior notification. A major credit card is required to book any spa packages. Please remember, your treatments are reserved specifically for you and are based on availability. If you need to cancel or reschedule an appointment, we require 24 hours notice. Cancellations with less than 24 hours notice or no-shows will be charged in full. Service is at our discretion. In the interest of maintaining a harmonious environment, we reserve the right to provide or deny any service(s) at will. All retail product purchases are final sale. Should your product be damaged and or defected at the time of purchase you may return it for store credit and/or direct exchange within 14-days with the original receipt. Communication throughout your service is the best way to ensure you are satisfied with your services received at House of Toli Salon.Spa. If you are unsatisfied with your colour and or cut, and would like minor adjustments made, we would be happy to do so. However, your complimentary fix must be with the original stylist and must be within five days of receiving your service and is at the full discretion of House of Toli Salon.Spa. Should you make any changes to your cut or colour prior to allowing House of Toli Salon.Spa the opportunity to change things for you we are no longer responsible to make complimentary adjustments. Colour Corrections are by consultation only and are not guaranteed. Please remember, extreme colour changes are a process and may take more than one appointment. If your reserved appointment is a colour correction, House of Toli Salon.Spa reserves the right to refuse service. is a form of planning.